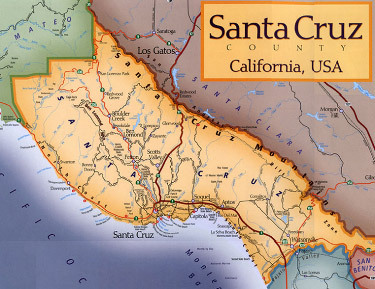 The Santa Cruz County Regional Transportation Commission (RTC) is committed to delivering a full range of safe, convenient, reliable, and efficient transportation choices for the community. With a focus on long-term sustainability, the RTC provides transportation services, planning, and funding for all travel modes. From projects that improve safety and traffic flow on highways, to pothole and sidewalk repair on local streets; from new and improved bicycle lanes and sidewalks, to support of public transit and paratransit services; from maintaining the existing transportation network to constructing projects that move more people; from help finding a carpool partner, to assisting stranded motorists — the RTC proactively addresses transportation needs in our community. Working together with transportation partners, the RTC obtains and distributes funding, including voter-approved measure D funds, to maintain the existing transportation network as well as prepare for the transportation needs of the next generation. The RTC keeps residents, business, and visitors moving wherever they want to go and however they choose to get there. From safety and enhancement projects on highways, to pothole and sidewalk repair on local streets; from programs for bicyclists and pedestrians, to support of public transit; from projects that move more people, to constructing and preserving transportation facilities; from help finding a carpool partner, to assisting stranded motorists — the RTC proactively addresses transportation needs in our community. Working together with transportation partners, the RTC secures funding to maintain the existing transportation network as well as prepare for the transportation needs of the next generation.The RTC keeps residents, visitors, and business moving wherever they want to go and however they choose to get there.